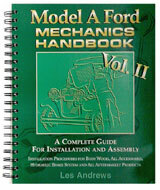 This is the third book in the series by Les Andrews and is for the novice as well as the master mechanic. This book gives step by step guidelines on troubleshooting, performance tests, symptoms, causes, operating descriptions and analysis as well as testing equipment needed to make your Model A operate a peak efficiency. A must have for those little problems that drive you crazy. 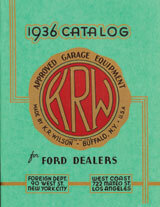 Covers the years 1928-193. 195 pages with 325 illustrations.